The Riceville Community Market joins the existing Black Mountain Tailgate Market (Saturdays from 9 a.m. – noon; May – October, 130 Montreat Road), and Warren Wilson College’s Farmer’s Market (Fridays from 11 a.m. – 2 p.m., outside Gladfelter Hall; opening date TBA). The Black Mountain Blooms Seed Lending Library, established in 2018, is the first of its kind in Buncombe County. This year, the seed library has been stocked with donated heirloom and open-pollinated seeds from area gardeners, as well as Sow True Seed, Southern Exposure Seed Exchange, and the Thomas Jefferson Center for Historic Plants. Anyone with a current Buncombe County library card is eligible to participate. Just come to the Black Mountain Library, 105 N. Dougherty Street, fill out a Seed Library membership form, select your seeds for up to 10 plant varieties, and start planting! The Seed Library’s mission is to enable more people to grow their own food and learn about saving seed, and to educate the community about gardening. The hope is that gardeners will return some of the heirloom seeds from their gardens to the library at the end of the growing season, so that the Seed Library can become self-sustaining. The Seed Library is also holding a Springtime Plant Exchange on Saturday, May 4, from 9:30 a.m. – 10:10 a.m. Bring some extra plants to share, and pick up some new plants for yourself. Afterwards, step inside the library for a 10:15 a.m. talk on plants and pollinators, by Brannen Basham of Spriggly’s Beescaping in Waynesville. For info, call the Black Mountain Libary at 828-250-4756. The Swannanoa Valley Museum’s “History Cafe” series continues on Monday, April 22, at 10:30 a.m., with a presentation on the history of Swannanoa’s Beacon Blanket mill. 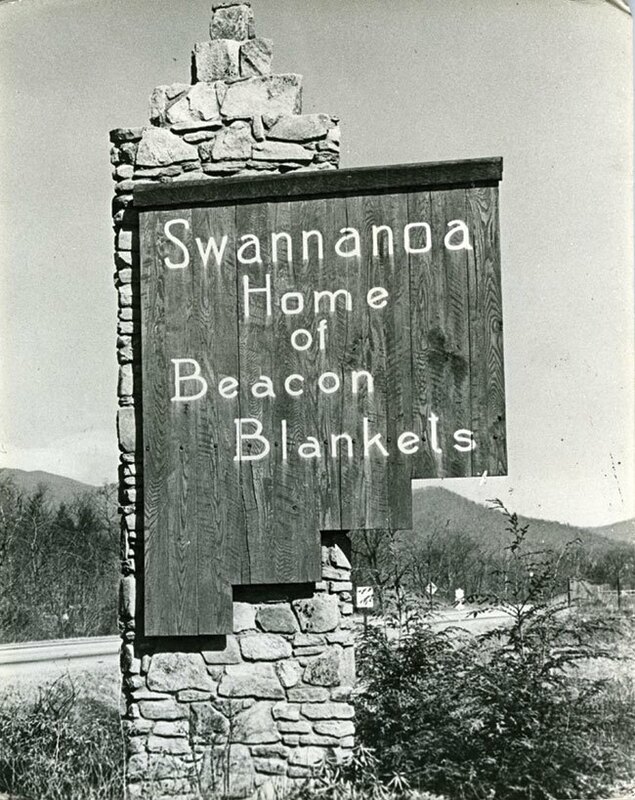 Once billed as the “largest blanket manufacturer in the world,” the Beacon mill was moved from New England to Swannanoa in the midst of the Great Depression. Beacon was an integral part of the local economy and community until its closure in 2002. In this presentation, writer and director (and Swannanoa resident! ), Rebecca Williams, will delve into Beacon’s history in the context of the migration of the textile industry to the South. She will also share short clips from her upcoming film Blanket Town: The Rise and Fall of an American Mill Town. This History Cafe presentation is free for museum members and students with ID. Nonmembers may pay $5 in advance online, or a $5-15 suggested donation at the door. Coffee will be provided. Seating is limited; please reserve your spot by clicking on the “Events” tab at www.swannanoavalleymuseum.org. The Swannnaoa Valley Museum’s second annual Appalachian Spring Tea will take place on Saturday, April 27, at “Far Horizons,” the Weatherford home in Blue Ridge Assembly. The tea will include sweet, savory, and scone courses (with homemade jam and clotted cream!) as well as bottomless cups of freshly-brewed tea. Music duo StrathSpan will perform Scottish music with an innovative flair on fiddle and cello. A short talk will also be given by Julia Weatherford, granddaughter of Dr. Willis Weatherford, Sr., founder of the YMCA Blue Ridge Assembly. Ms. Weatherford will discuss the history of the Far Horizons home, her grandfather’s legacy, and her grandmother’s life. Far Horizons, completed circa 1940, will be open for this event through a special one-time arrangement with the Weatherford family and Blue Ridge Assembly. Seatings are at 11:00 a.m. and 2:00 pm. Cost is $25 for museum members; $35 for nonmembers, $175 for a table of 8 (members only). Call the museum at 828-669-9566 to reserve your space, or register under “Events” at www.swannanoavalleymuseum.org.